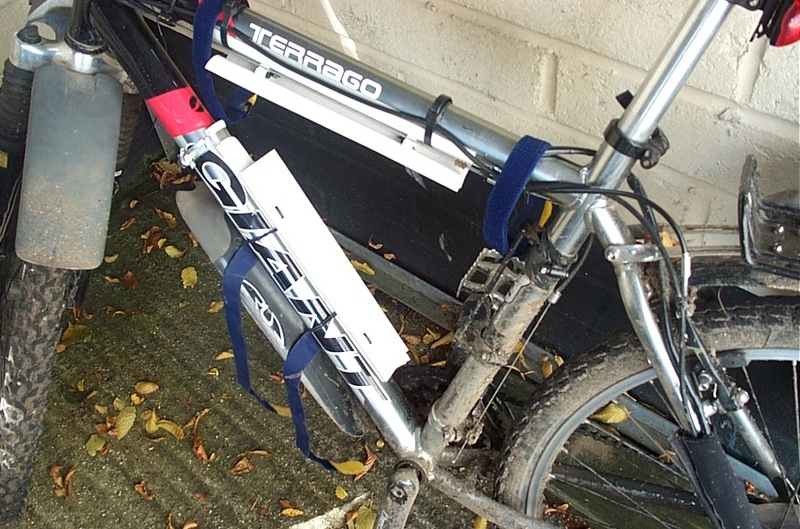 Back in 2004 I used to cycle to and from work. 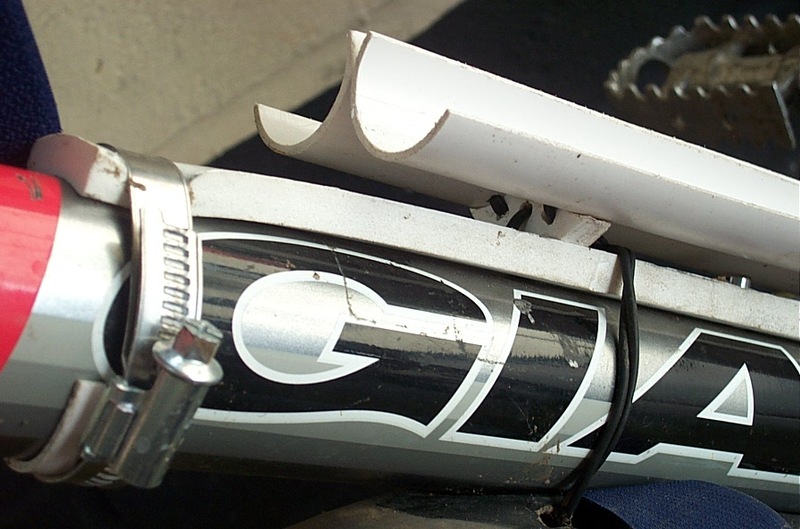 This was about a 10 mile ride and thanks to my left knee having been damaged over the years – I blame it on cars with stiff clutches – the daily 20 miles of cycling caused it to swell and become painful. So rather than doing the sane thing and taking the bus, carrying a folding bike – which I did later – I decided to play at engineering! I fitted an electric motor to my bike. Obviously! I had forgotten I had this web page around so I am now posting it up here where it belongs. This is exactly the same bike as I used in the Scotland charity ride in 2010, and I still use it. I have now removed the electric motor and drive to work. I found that during the winter when it was dark on the way home, I did not have the energy after a full day of work. I might take another look at the battery technology now to see about using it in the summer. That would be a fun piece of research since it is the batteries that are really the limiting factor. 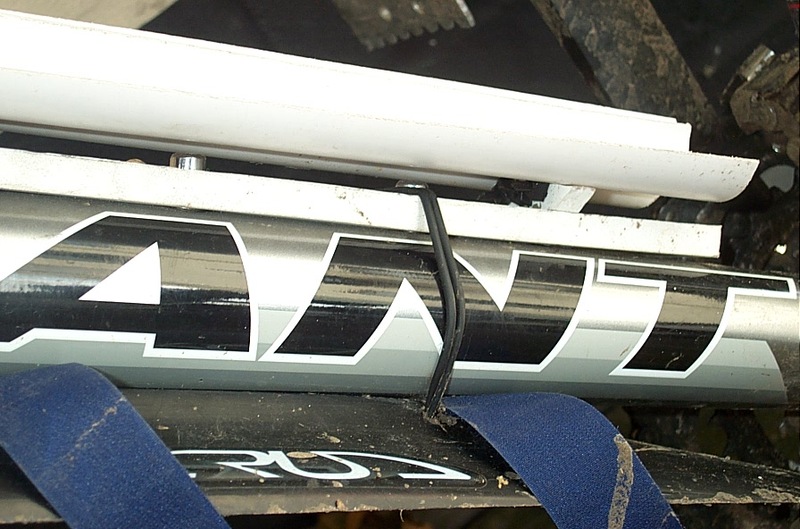 The bike is a standard Giant Terrago 2002 (rear wheel is 36 spoke pattern – this is important). I fitted the Currie US Pro-Drive system which attached to the rear wheel hub and spokes and had a 24V brushless DC motor. Scott MacGregor, EVDeals, in the US was extremely helpful and is a very authoritative source of information and parts. Some photos. 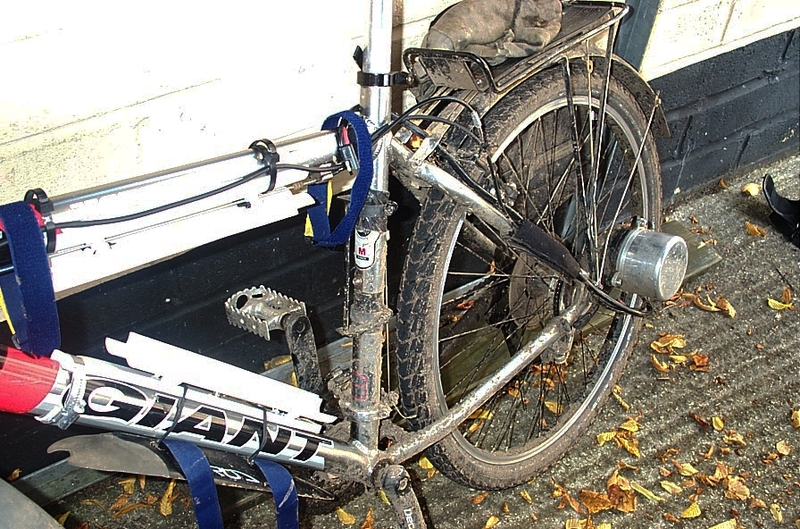 The bike is of course very grubby due to the off-road portion of the ride! Battery mounting showing that they only just fitted within the frame. 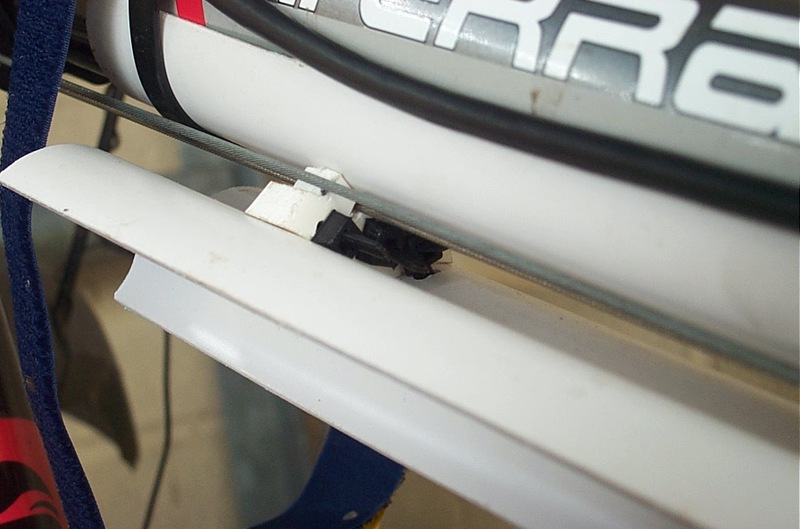 Shot showing the motor attached to the rear wheel. 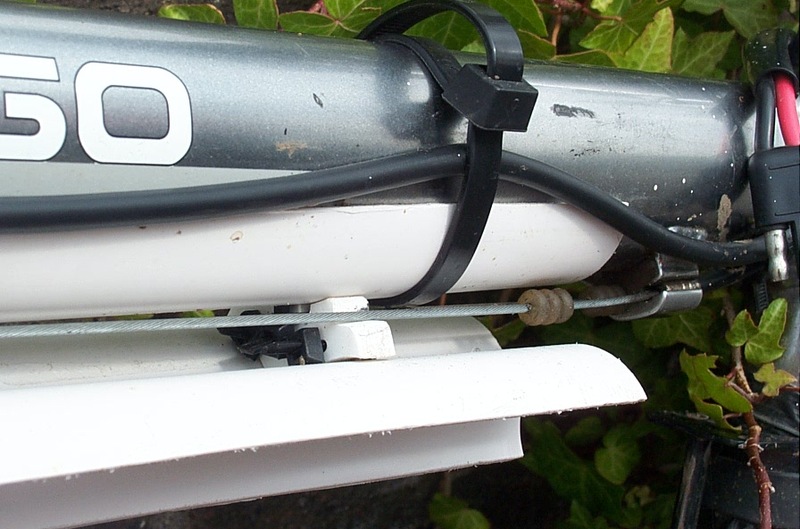 Photo showing the battery mountings. The cycle ride was 9.25 miles each way, 3 off road. The batteries when fully charged lasted the whole journey giving 17-18mph on the flat, so I got (with a fair level of assist) a 16mph average speed giving a 35 minute travel time (10 more than the average car journey). I recharged the batteries as soon as I arrived at work and as soon as I arrived home in the evening since it is just a slow charge rate (0.1C). 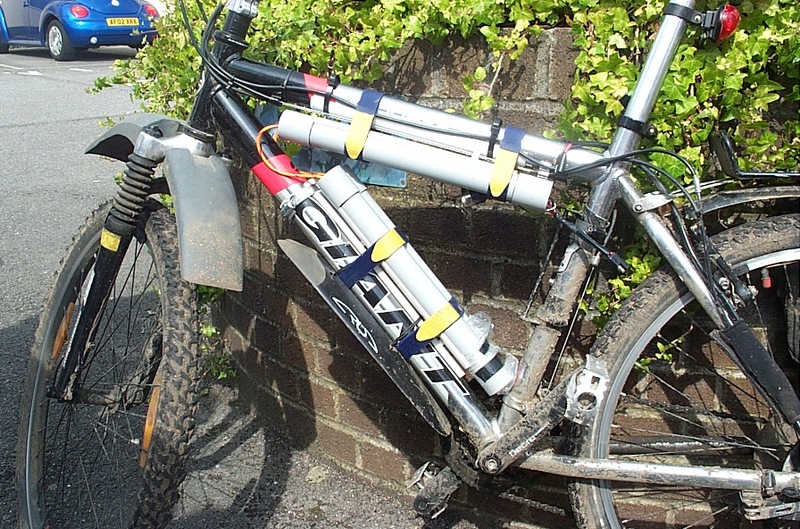 Depending upon conditions (headwind etc) the day charge meant that the batteries would not last the whole way home. I was always on the lookout for a faster NiMH charger, but I didn’t have a temperature sensor on the battery pack. This would have been needed for higher charge rates to stop the batteries overheating. I would have used that only in the day since I had planned to only do a slow overnight 0.1C charge to keep the battery stress level down. The batteries were given a full 0.1C recharge at the weekend to even them out. The charger was a Lawtronics 0.1C charger. 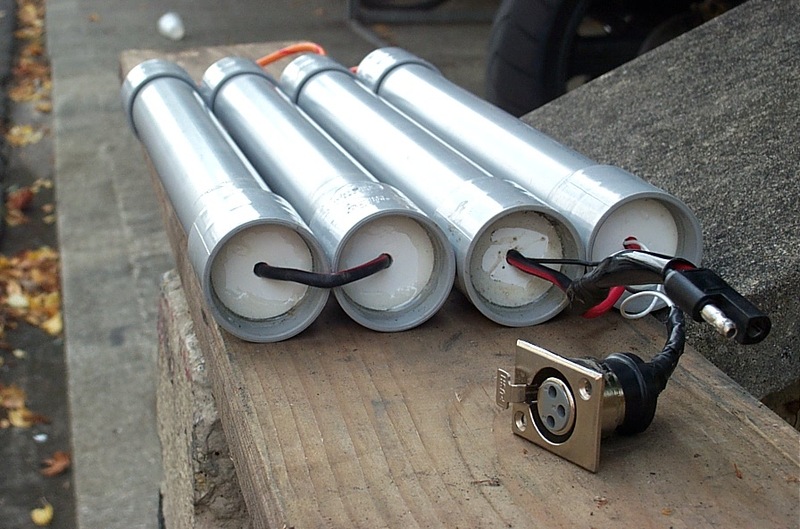 The final battery setup was 20 NiMH (Nickel Metal Hydride) 1.2V ‘D’ cells of 7Ah each. Altogether they would deliver between 20 and 30 Amps peak! The batteries were BYD H-D7000D types which I had intended to upgrade to the SAFT 8.5Ah D cells to give greater range. But at around £120 for a full set, which would only last one year, I demurred. 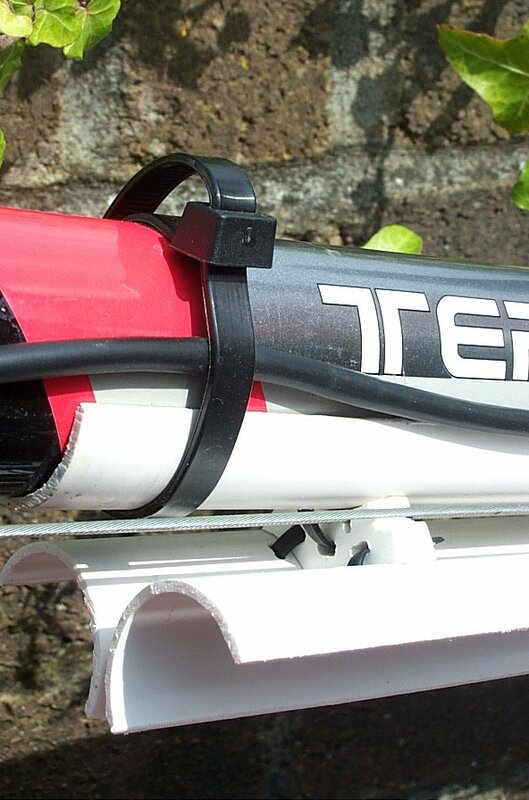 I could also have used the SAFT 13Ah F cells which were twice the weight and half as long again as the D cells and would have needed another 2 tubes on the bike. Overall, apart from more capacity and a faster charger I was very pleased with NiMH cells. The SLA (Sealed Lead Acid) gave me only a 40 minute ride time due to the voltage sag while riding. Also the NiMH cells only weigh in at 3kg against the 9kg for the SLA battery. 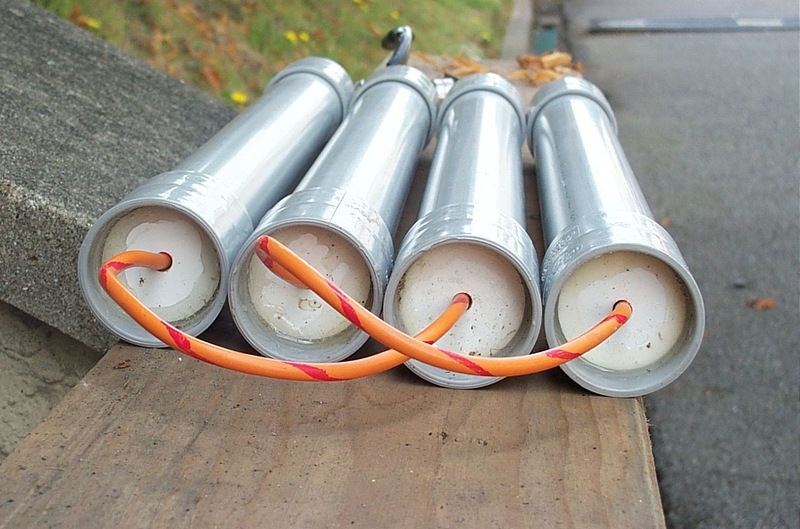 The battery pack was originally connected in line, but not very tightly, and with about 1 inch of copper wire between each battery. This resulted in some voltage loss and a VERY high temperature during running and recharge. I then soldered them directly to one another – very tricky – and this all changed dramatically. Their charging temperature was “tepid” at the 0.1C rate and they hardly got warm during discharge at all, especially since they were in the air stream and had good cooling. 1: 32mm plastic drain pipe. 3: Some blagged 9mm soffit board, cable ties, epoxy and B&Q velcro straps, plus all the wiring and batteries of course. 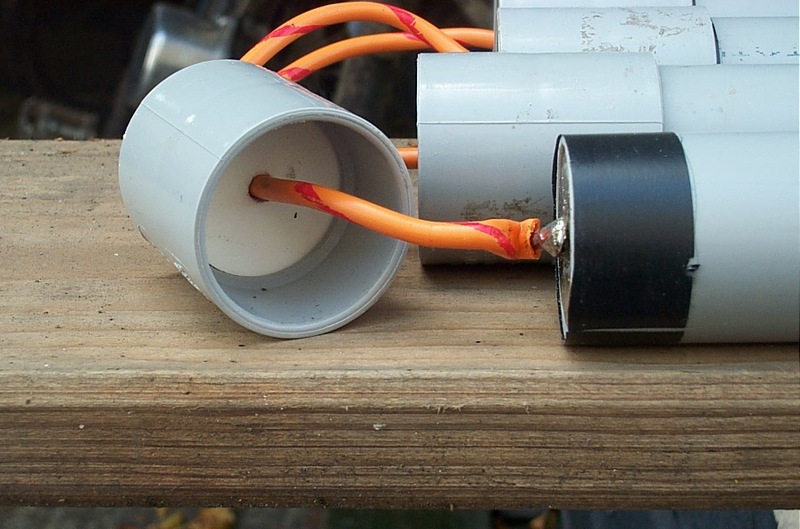 Although you cannot see them the batteries were a nice tight fit in the tubes and I soldered the wiring to their contacts. This is the only way to make this technology work well, because otherwise you lose too much power in the contacts. Battery pack showing the audio charging connector and the bullet style main connector. The other end of the batteries. The internals of one end of the connection. Closeup shot 1 of top mountings. Closeup shot 2 of top mountings. Closeup shot 3 of top mountings. Closeup shot 1 of bottom mountings. Closeup shot 2 of bottom mountings. Scott MacGregor, EVDeals, in the US. Knows his stuff and very helpful. Yahoo power assist group, contains photos of disassembly. 4QD – controllers (brushless only), electronics etc. Some very useful documents. Lawtronics, makers of battery chargers. ← HOW TECH-AWAKE ARE YOU? Hi, I recently bought a used Currie US Pro-Drive electric bike kit like the one you have pictured. My big question is does the drive mount directly to the spokes of the rear wheel? Or am I missing piece? Thanks, I’d really appreciate the help cus I can’t find much info on this old kit online…. Hello texxs, There should be an adapter that you bolt onto the wheel which has teeth for the drive chain. There are pictures here http://www.evdeals.com/USPD%20Drive%20Parts.htm at evdeals. Just look down to where it talks about a spoke drive assembly. You could give them a call. Good luck. Let me know if you need more help since I still have the kit and could post some pics.